… and ended up with four things in my basket instead. We’ve all been there. First up: Dream Cream. My favourite body lotion of all time, but one I don’t always buy because I get through it so quickly. It’d been a while since I’d used it though, and the skin on my body has been quite sore and itchy lately so it was definitely time to get my fix. 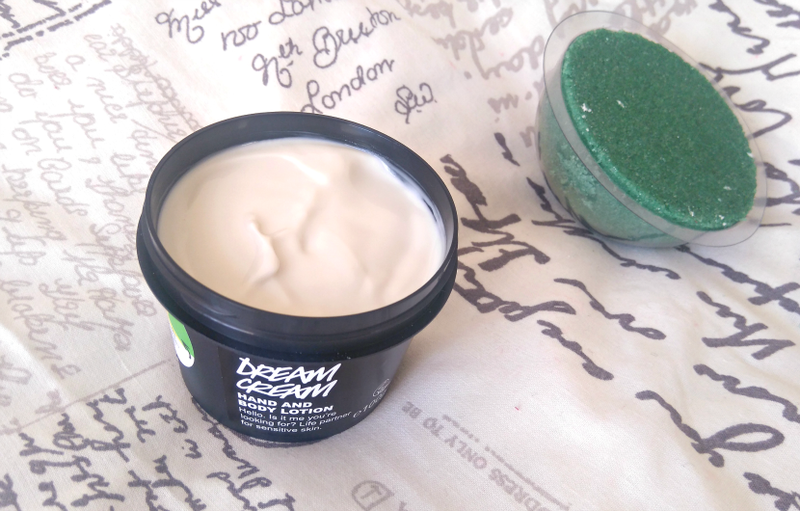 Dream Cream is light, calming and it sinks in oh-so quickly, making it perfect if you’re in a rush but still need something to soothe sensitive skin. You wouldn’t expect something so airy to be so moisturising, but it is. I want a pot of this by my side at all times. A new product (for me) now, and that’s Sugar Scrub. Its scent is a curious mix of fresh and earthy — a contradiction perhaps, but give it a sniff instore and you’ll see what I mean. I won’t lie, Sugar Scrub can be a bit of a faff but once you have somewhere to store it you’re fine. It’s a little foamier than I would normally like but I can’t deny that it sorts skin right out, smoothing away any dry flakes and softening rougher areas like elbows and knees. To stop the scrub from disintegrating I had to grab a Square Tin. 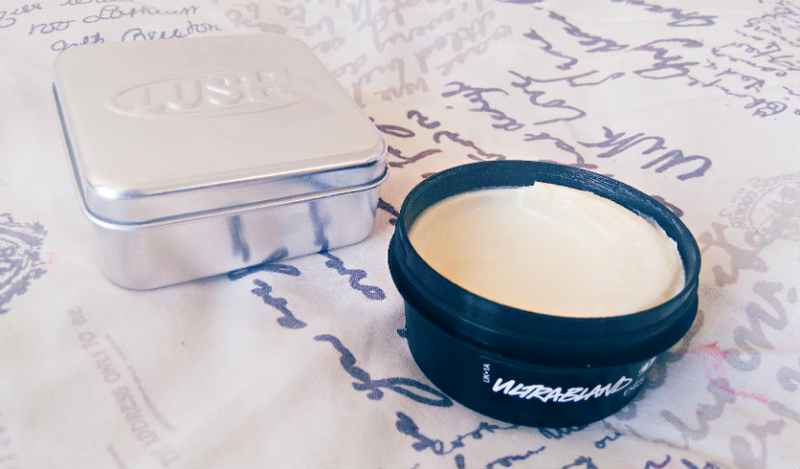 There’s not much to say about this really, except that it’s good for storing LUSH’s naked products. It would also make an excellent container for hair grips. Finally, Ultrabland, the love of my cleansing life. I have repurchased this so many times now; it’s by far my most-used LUSH product, and indeed my most-used product full stop. A solid balm that melts down into an oil, Ultrabland removes make-up in a flash and is extra-kind to skin. Never change, Ultrabland, never change. Have you been on any splurges recently? Have you tried any of these? Let me know in the comments!